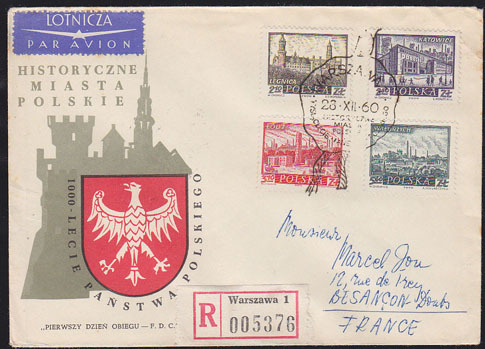 10897 FDC POLAND (1960) Legnica*. Katowice*.Lodz*. Walbrzych*. FDC with cachet and special cancel. 4 high values of set. Scott Nos 962-5.